Cash for used cars specialises in removing unwanted cars. Have a hard to sale used car? Perhaps one that will take more to repair to get it ready to sale than its worth? Or maybe you don’t have the time to advertise and find a buyer? Whatever the reason, Car Wreckers Perth is your solution. We pay up to $6K cash for used cars and our car removals in Perth are always free. Call Car Wreckers Perth today for free cash for used cars offer. Car Wreckers Perth offers top cash on all used car removals in Perth. Our cash used cars system is one that is quite simple. You contact us for a cash offer and should you accept we then schedule an appointment. We work round the clock to bring our customers convenient used car removals in Perth that are performed when you want them performed. Call us at the number above for an instant cash offer. 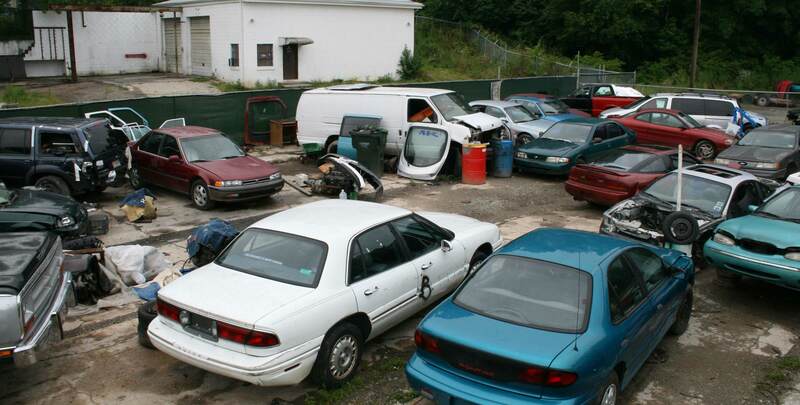 Our auto wreckers are the best in the business, recycling, reselling and reusing part and metals of the vehicles. We also have an extensive network of car buyers, so we are able to offer top cash instant cash offers. When you choose us, you are guaranteed a more than fair deal! Give us a call and find out for yourself. There’s no waiting around to receive your cash payment when you hire Car Wreckers Perth to perform your used car removal in Perth. Our car appraisers are tops in the business, which is why we are able to provide our customers with instant cash offers that are the absolute most. With a few details, they go to work estimating the value of the vehicle whether salvaged or resold. Just give us a call and find out for yourself. There’s no reason to find a legal sales contract or hassle with documentation of any type aside from your proof of ownership. Car Wreckers Perth brings all the paperwork with us at the time of the car removal. This makes the entire process one that is only convenient and hassles. To obtain a free cash offer, just contact Car Wreckers Perth. Aside from dialing us directly, you can also obtain a cash for used cars offer located on this page. We make things as convenient as possible for our customers, right down to scheduling our car removals. Our car removal specialist work day and night, 365 days a year, to bring our customers convenient used car removals in Perth at a time that is convenient for them. Just give us a call for an instant cash offer and/or to schedule a free car removal. At Car Wreckers Perth, we offer free 4×4 removals on 4WDs of any condition. Our 4×4 wreckers in Perth are just as knowledgeable with 4x4s as with cars, trucks, vans, motorcycles, SUVs, etc. and are able to pull absolute value from the vehicle. We also have a range of 4WD buyers. When you choose Car Wreckers Perth, you choose a company that is able to pay maximum value on your car removals. We are one of Perth best car removal companies that work for our customers, ensuring the best car removal experience. We also operate a first-class fleet of custom removal vehicles which are able to load all size vehicles of any shape, including car collections. We are a Car Removal company that is professional and can offer quick car removals in Perth performed as soon as a few hours from your call. For fast and friendly service that pays top cash, contact Car Wreckers Perth today. We are the auto wreckers in Perth that guarantee a no hassle transaction. With one call to us, you can have your car removal in Perth scheduled as soon as this afternoon. We are the reputable auto wrecker who works to bring our customers to top cash on all used car removals in Perth. Contact us at the number below or fill our "Get a Quote" form located on this page.